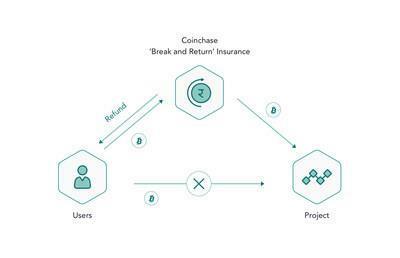 In order to protect participants in bear market, Coinchase stands by the users' side and asks project parties to participate in Break and Return Insurance? : If the average price of a project's token falls below Public Sale price in the first 48 hours of the first exchange listing, users can choose to be refunded by Coinchase. Official Coinchase website: https://coinchase.com . break-and-return-insurance.jpg Break and Return Insurance© In order to protect participants in bear market, Coinchase stands by the users' side and asks project parties to participate in Break and Return Insurance©: If the average price of a project's token falls below Public Sale price in the first 48 hours of the first exchange listing, users can choose to be refunded by Coinchase. profit-sharing.png Profit-Sharing Coinchase shares its profits with early participants by Coinchase Token (CCH). cch-economic-model.png CCH Economic Model Coinchase rewards participants with CCH Tokens. Coinchase grants users membership status when they expend a certain amount of CCH.